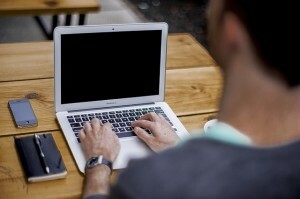 Have you ever wondered if blogging is important for your plumbing business? The answer is yes. Blogs are a crucial part of a complete web presence. And a blog will provide you with a wide array of benefits. That is why we provide blogging for plumbing companies as a part of our ongoing SEO work. 1: Fuel for SEO- First and foremost, maintaining a blog will help boost your online rankings. Google and other search engines favor websites with a well maintained blog. The blog must be internal and new content must be added on an ongoing basis. 2: Staying connected- Blog posts are the perfect way to stay connected to your clients. It draws previous customers back to your site to read up on your latest post. This keeps them connected to your company so the next time their drains are clogged, you will be the first plumber they think of. 3: Personality expression- People want to know your company has a human side. Blogging allows you to be more informal and express your company’s personality. This makes potential clients more likely to trust you rather than a faceless corporation. 4: Expertise- Good blog posts can demonstrate your expertise in the plumbing industry. This will build trust with clients. They will look to you as the authority for all things plumbing. 5: Local focus– Along the same lines as personality, expressing that you are a local business will go a long way in reaching local clients. You can use blog posts to talk about information relevant to your area, or focus on a local news event. 6: Informative- A well maintained blog should be informative. You can use this space to teach your readers about important plumbing tips and tricks. This information will not only bring clients back to your site, it will continue to prove you are a trustworthy company who cares about their clients. 8: Social media fuel- When you post a new blog entry, you now have something to distribute out across your social media platforms. This allows for a conversation with your clients and provides an engaging web presence. Ready to enjoy the benefits of a blog for your company? Talk to us about our ongoing SEO services, including blogging for plumbing companies.